Vitamin C serum administrations offer many benefits to the skin. C vitamins remain essential for numerous cellular and skin functions. These include stimulating collagen production, as well as maintaining the skin’s overall strength and integrity. Vitamin C is present in high concentrations in the skin already. As an antioxidant, it will neutralize free radicals in the skin. Free radicals damage the DNA and occur due to things like sun, pollution, stress, and smoking. They may results in things like cancer, in addition to premature aging. A quality vitamin C serum will simultaneously boost collagen production while reversing cellular damage. This helps keep the skin firm and young, helping to reduce fade and prevent brown spots or pigmentation. As essential as vitamin C is to a comprehensive skin care regiment, not every vitamin C serum imparts equal results. 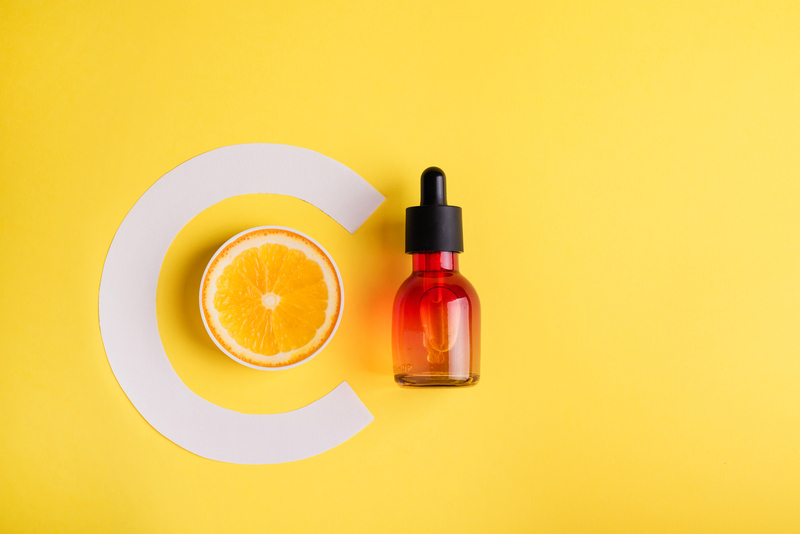 Our team from Miami Center for Dermatology wants to share 5 of our favorite vitamin C products that you should certainly consider. The Vitamin C Skin Brightener features innovative cultivation of age-fighting ingredients. These components work together to improve the appearance of dull, maturing skin. The ingredients arbutin, bearberry, emblica, Co-Q10, and of course vitamin C all help correct uneven skin tone. This vitamin c serum also boasts vitamin A and E content that can neutralize free radicals while increasing firmness. As a result, you will look younger with reduced fine lines and wrinkles for a youthful, rejuvenated complexion! This is a lightweight vitamin C cream that contains Stable L-Ascorbic Acid. Designers specially formulate this product to help you achieve smooth, radiant skin. Combining the powerful antioxidant properties of vitamin C with a specialized growth-factor called TGF-beta1. This growth factor helps stimulate collagen products while this vitamin C serum fights free radicals. Improve your overall appearance and reduce fine lines and wrinkles with the C the Difference Vitamin C Cream! Green Tea Cleanser is a soothing, effective cleanser that is an ideal solution for all skin types, including those that possess sensitive skin. This contains a vitamin C serum and gently cleanses and hydrates the skin while removing environmental pollutants and excess oil. Our Ultra Gentle Cleanser is a rich, soap-free liquid application that works to gently cleanse and soften the skin while mitigating dryness. This contains a vitamin C serum along with Liposomal Vitamins A, E, as well as green tea extract. The product minimizes free-radical-derivative skin damage while helping your skin look its absolute best! The Ultra Lite Facial Cream is an elegant facial moisturizer that our team recommends for all skin types. It contains a stable, natural emollient that remains a component in healthy skin, as well as vitamin A, C, and E, enriched dimethicone. This vitamin C serum is a lite formula that is the ideal solution for individuals without overly dry skin. However, it serves perfectly when these individuals need a light moisturizer for optimal hydration. It doesn’t matter what time of day you apply a vitamin C serum. The critical part remains to utilize these products to get your skin looking and feeling it’s healthiest. You may not need to apply them every day, but they can provide numerous benefits for the overall health and wellness regarding your skin. For more information on these products, or how the Miami Center for Dermatology can help you look and feel your best utilizing a vitamin C serum, contact our team today!